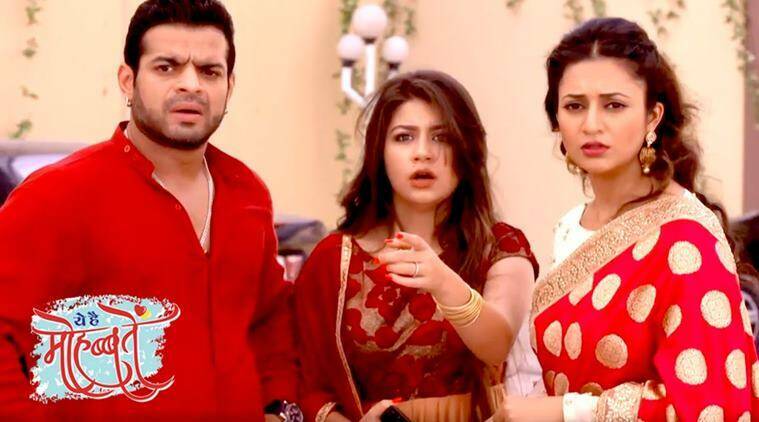 In the latest episode of Yeh Hai Mohabbatein 20th November 2018, written episode Sudha humiliates to Ruhi and Alia in public. Sudha brings Mahila Mandal and creates a havoc at Bhalla house and publically humiliates to Ruhi and Alia. Sudha to blacken Raman and Ishiita’s face but someone stops her. The today’s update of the Tv serial of Yeh Hai Mohabbatein begins with Ishita carrying a plate full of diyas and lighting it outside at Bhalla. she thinks that no one remembers that today is a special day that is Choti Diwali. As soon as she went out of the house, she sees that the diyas already lit outside her house. Her sister-in-law even comes with south Indian breakfast for everyone and Ishita will help her to serve them. Ishita feels so happy to see all this. Mani comes at home and has a good news. He has spoken to a lawyer about Alia and Ruhi’s case and said that the girl’s case is strong and that they can very well file a case against Rohan, Karan and Sudha. Ruhi gets really aggressive and said that they must be file case against them as they have to create a havoc in their lives and no one can just use the other person just for a revenge plan. However, we saw that the Alia has absolutely no reaction. We also see that a bit disturbed and preoccupied. What could it be? Well, only time will tell. The entire family is having their breakfast at peace. Suddenly they get to listen to the very loud noises from the ground floor. People are screaming-“Ruhi our Alia haaye haaye”. The rest family goes down and get shocked to saw Sudha with people from Mahila Mandal and all other complex members. Precap: Ishita shows to police and protesters that Sudha had the fake burning wound.